SD Tech Fund: Clean Technology Grants Canada | Mentor Works Ltd.
Canadian clean technology developers often face difficulties when bringing new ideas and innovations to market. Limited access to capital and difficulty finding end-users that can offer input during the development process are two reasons why Canadian firms struggle to compete with global competition, but this doesn’t have to be the case. Resources are available to help innovators overcome development hurdles so they can reach commercialization sooner. One of these resources is the SD Tech Fund, a Canadian government funding program that offers technology grants to clean technology (cleantech) developers. The SD Tech Fund supports pre-commercial cleantech projects that have the potential to achieve significant and quantifiable benefits to Canada’s environment and economy. Through the program, cleantech innovators can receive non-repayable grants to pilot and demonstrate technologies alongside a consortium partner. The SD Tech Fund provides Canadian innovators with up to 33% of eligible project costs to a maximum $15 million. Most projects receive an average of $2-4 million. To get started with the SD Tech Fund, Canadian technology developers must complete a multi-stage application process with Sustainable Development Technology Canada (SDTC), the organization that administers the SD Tech Fund. Fortunately, applications can be submitted year-round. Companies should receive approval for their project before eligible expenses are incurred. What is the SD Tech Fund for Canadian Cleantech Developers? The SD Tech Fund is a Canadian government funding program administered by Sustainable Development Technology Canada (SDTC). It’s uniquely positioned to support the development of clean technologies that, upon commercialization, will have profound impacts to the environment while also improving business competitiveness. The SD Tech Fund supports development activities only and is not meant for research or commercialization activities. Through the SD Tech Fund, approved applicants may receive up to 33% of eligible project costs to a maximum $15 million in non-repayable clean technology grants. SD Tech Fund projects help companies advance technology through partnerships, also known as consortiums, with at least one other organization. Partner organizations can vary but must support the project’s objective to further develop the technology. In most cases, project partners will make in-kind contributions, provide a demonstration site, or provide intellectual property (IP). At least one consortium member should be (or represent) your target customer to ensure post-project technology commercialization. Support the remaining eligible project costs not funded by SDTC*. 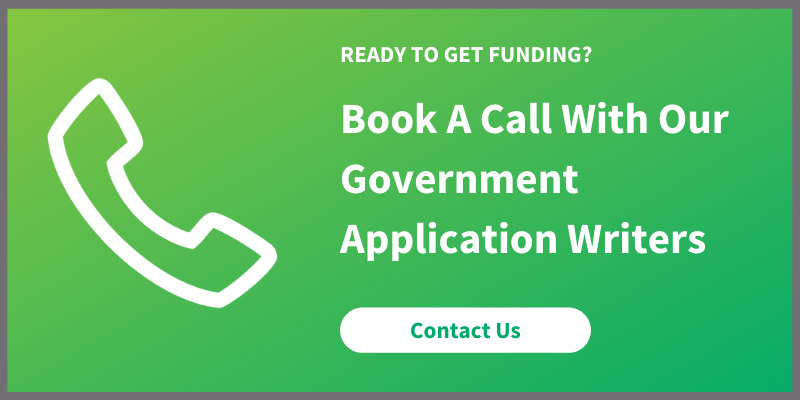 * Applicants must cover a minimum 25% of total project costs; consider stacking SDTC funding with other technology grants to maximize funding potential. Replace existing technologies to reduce greenhouse gas emissions, environmental contamination, or water consumption. To access SD Tech Fund grants from Sustainable Development Technology Canada (SDTC), applicants must complete a two-phase process that includes (1) an initial project review, and (2) a full project review. The initial project review application is approximately 25 pages in length and explores the project/partnership’s eligibility. If deemed eligible, applicants can submit a full project review which is quite comprehensive and discusses the clean technology in great detail. To explore if your project is a good fit for the SD Tech Fund and optimize the application process, please contact Mentor Works.